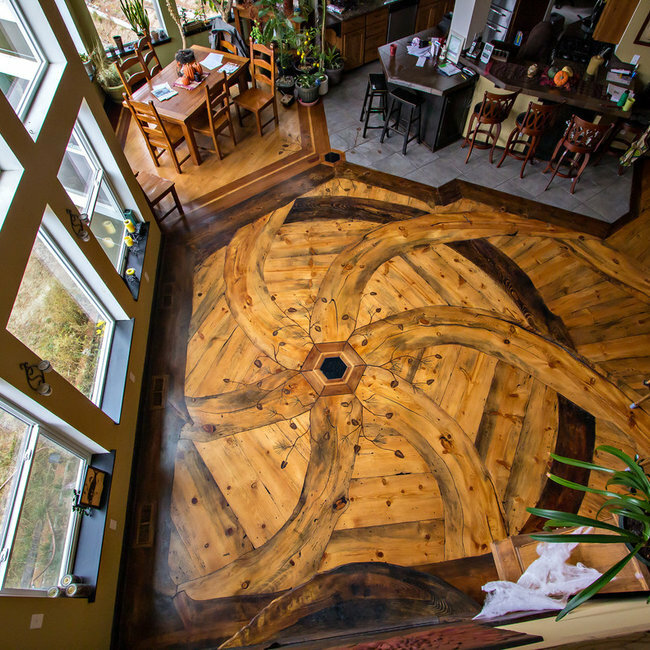 Ourada Designs provides a creative and innovative approach to hardwood flooring. 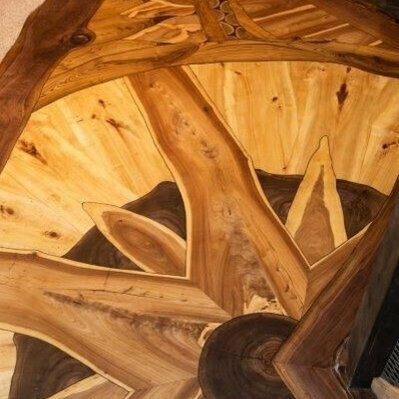 Making use of a tree's natural edges, from the trunk to small branches, beautiful designs can be created to enliven and enhance any room. 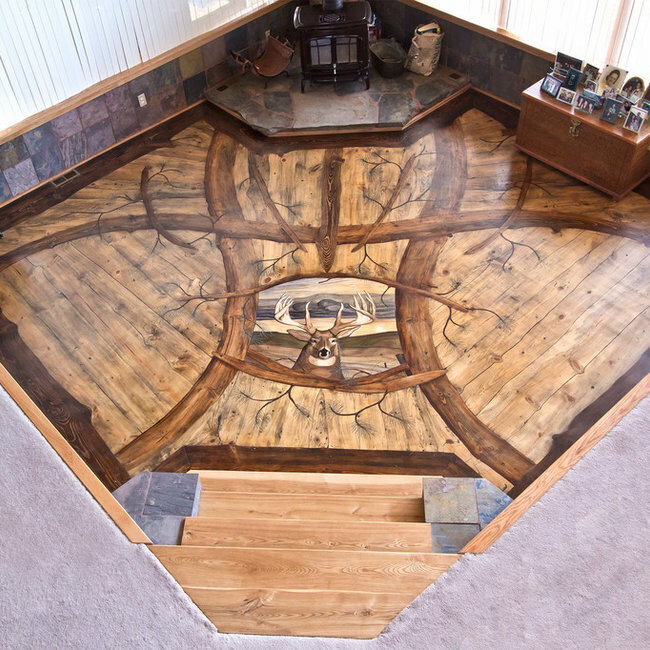 Ourada Designs blends the beauty of the wood, interests of the client, and flow of a room to create unique floors that can never be duplicated.